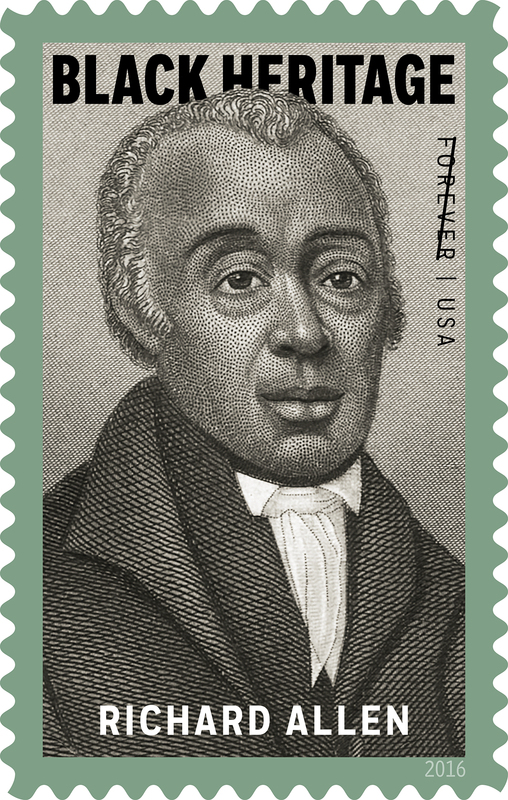 Richard Allen and his associate Absalom Jones were the leaders of the black Methodist community in Philadelphia in 1793 when a yellow fever epidemic broke out. Many people, black and white, were dying. Hundreds more fled the city. City officials approached Allen and asked if the black community could help serve as nurses to the suffering and help bury the dead. Allen and Jones recognized the racism inherent in the request: asking black folks to do the risky, dirty work for whites. But they consented—partly from compassion and partly to show the white community, in one more way, the moral and spiritual equality of blacks. Allen was born into slavery in Philadelphia in 1760. He was converted at age 17 and began preaching on his plantation and at local Methodist churches, preaching whenever he had the chance. “Sometimes, I would awake from my sleep preaching and praying,” he later recalled. His owner, one of Allen’s early converts, was so impressed with him that he allowed Allen to purchase his freedom. In 1781, Allen began traveling the Methodist preaching circuits in Delaware and surrounding states. “My usual method was, when I would get bare of clothes, to stop traveling and go to work,” he said. “My hands administered to my necessities.” Increasingly, prominent Methodist leaders, like Francis Asbury, made sure Allen had places to preach. In 1786 the former slave returned to Philadelphia and joined St. George’s Methodist Church. His leadership at prayer services attracted dozens of blacks into the church, and with them came increased racial tension. Jones asked him to wait until prayer was over, but the trustee retorted, “No, you must get up now, or I will call for aid and force you away.” But the group finished praying before they got up and walked out. Allen had for some time thought of establishing an independent black congregation, and this incident pushed him over the edge. Nonetheless, he had no desire to leave Methodism or the local Conference: “I was confident,” he later wrote, “that there was no religious sect or denomination would suit the capacity of the colored people as well as the Methodist; for the plain and simple gospel suits best for any people.” Still he recognized that blacks needed a place they could worship in freedom. Though Methodist leaders resisted Allen and Jones, threatening them with expulsion from the Methodist Conference (while at the same time pleading for their help during the 1793 epidemic), Allen went ahead and, in 1794, purchased an old frame building, formerly a blacksmith’s shop, and created the Bethel African Methodist Episcopal Church. Bishop Francis Asbury dedicated the building and, in 1799, ordained Allen as a deacon. For the next 15 years, white Methodist leaders in Philadelphia tried to keep Allen’s congregation and property under its jurisdiction. But on the first day of 1816, the Pennsylvania Supreme Court ruled that the church belonged to Allen and his associates. A denomination quickly came together. In April, delegates from several black Methodist churches convened in Philadelphia and drew up an “Ecclesiastical Compact” that united them in the independent African Methodist Episcopal Church (AME). Allen was ordained an elder and then consecrated as bishop—the first black to hold such an office in America. Blacks in Baltimore, Wilmington, Attleboro, and Salem followed Allen’s example and established independent African Methodist churches. Allen oversaw the rapid growth of the AME’s mother church in Philadelphia, which grew to 7,500 members in the 1820s. The denomination became by all accounts the most significant black institution in the nineteenth century, and today has over 6,000 churches and over 2 million members.